Law professor at uOttawa. Specialize in national security, international and public law. Also write on endurance sport and law. My part of a brief to the House of Commons Standing Committee on Public Safety and National Security, this paper endorses the proposed Canadian National Security and Intelligence Committee of Parliamentarians, but does so with an important caveat. In this last respect, it focuses on constraints imposed by bill C-22 on access by the committee to certain sorts of classified information. It raises concerns that these constraints may limit the effectiveness of the committee. Also contained in this document is annex comparing the proposed bill C-22 committee with analogues in the UK, Australia and New Zealand. The table in the annex includes details on: general features (such as membership and appointment); mandate and jurisdiction; reporting; access to information; and interface with expert review bodies. Posted in Uncategorized on November 17, 2016 by cforcese. This short paper prepared as a brief to the House of Commons Standing Committee on Access to Information and Privacy and Ethics outlines the weaknesses of the Security of Canada Information Sharing Act (SoCISA), enacted as part of Bill C-51 in 2015. It proposes a wholesale renovation of national security information-sharing laws. Short of this, the paper proposes a number of detailed amendments to the SoCISA adding precision, coherence and more meaningful privacy protections to this awkwardly drafted instrument. 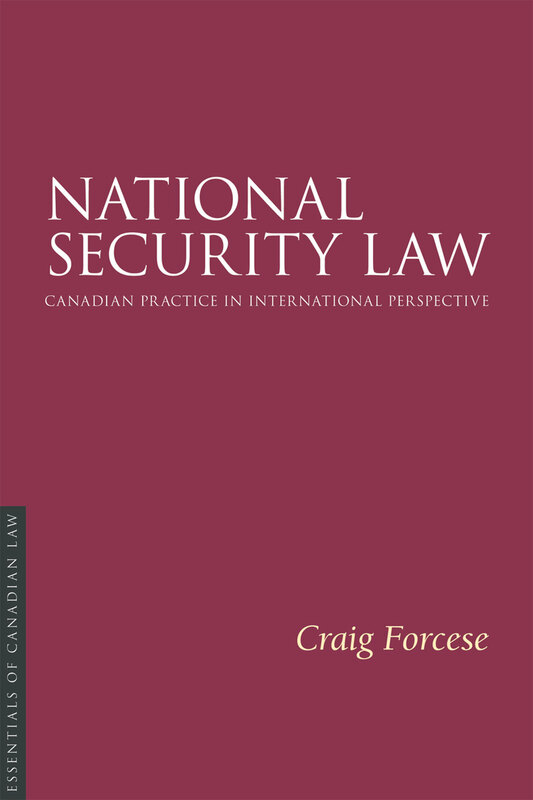 This article responds to the Canadian government’s 2016 consultation on national security law and policy. It outlines a series of concerns, both with laws enacted in 2015 (and especially bill C-51) and some interpretations of C-51 and other laws in the consultation documents. It urges the need for a systematic and contextual understanding of the many issues raised in the consultation. For example, information sharing and increased investigative powers should not be discussed without attention to inadequate review and accountability structures. Similarly CSIS’s new disruption powers need to be understood in the context of the intelligence and evidence relationship. 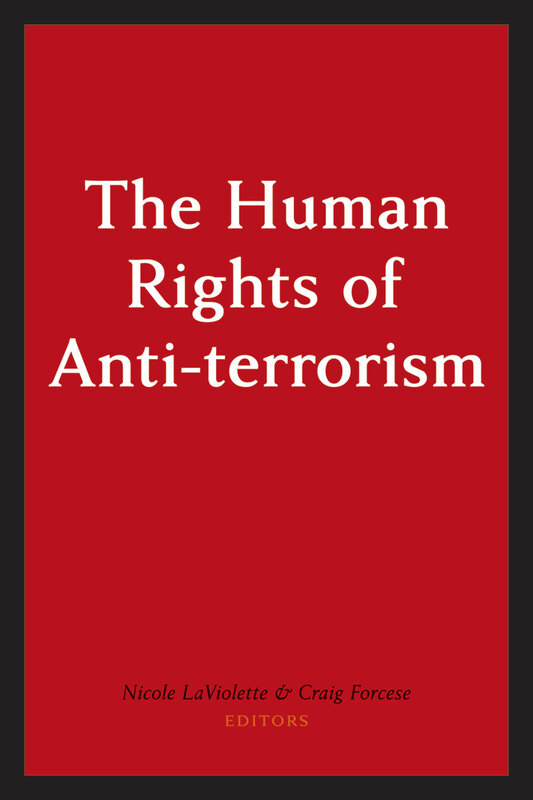 The article proposes concrete and significant changes to the current legal and policy regime motivated both by civil liberties and security-based concerns. Posted in Uncategorized on October 10, 2016 by cforcese. 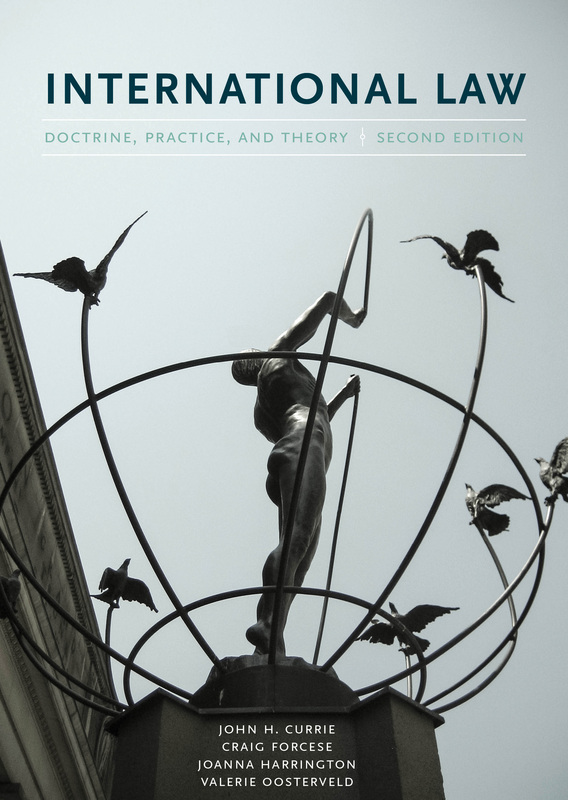 As a follow up on our book (and particularly ch 12 and our recommendations in ch 14), Kent and I are releasing for comment our draft working paper on reformed national security review (sometimes called “oversight”). 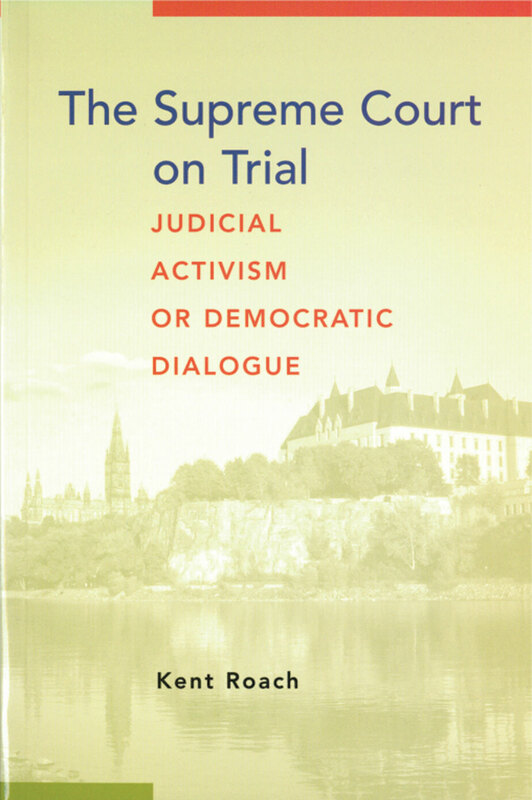 In the paper, we urge that Canada’s reformed national security accountability review structure be built on the model of a three-legged stool: first, a properly resourced and empowered committee of parliamentarians with robust access to secret information, charged primarily with strategic issues, including an emphasis on “efficacy” review; second, a consolidated and enhanced expert review body – a “super SIRC” – with all-of-government jurisdiction, capable of raising efficacy issues but charged primarily with “propriety” review; third, an independent monitor of national security law, built on the UK and Australian model, with robust access to secret information and charged with expert analysis of Canada’s proposed or actual anti‑terrorism and national security legislation. The paper may be downloaded from the SSRN website (at this time, the “under review” stamp just means it is being integrated into the SSRN permanent collection). Please share widely as we wish to attract a large audience of interested citizens, experts and stakeholders. As noted at the paper’s beginning, we intend to publish a final version (with TSAS), and welcome comments aimed at strengthening the paper. Posted in Uncategorized on January 13, 2016 by cforcese. 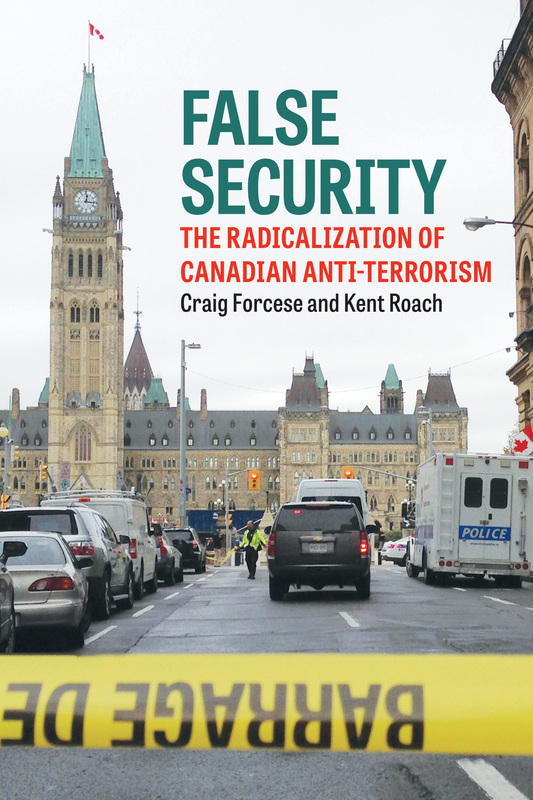 Over the summer and into the Fall, Kent Roach and I focused on writing our book False Security: The Radicalization of Anti-terrorism, and then speaking about the ideas in it at various fora. Like others, we await with interest the new government’s plans on next steps in Canadian anti-terror and national security law. I wrote up a short piece on what we know now (comparatively little, but better than nothing). The original purpose of this blog was to supplement my regular national security law blog and present work that Kent and I did through 2015 on Bill C-51. I also discovered something called twitter, something I nominally joined years ago and did not understand. But since 2014, I have done my best to push out things that catch my eye in my areas of research interest from @cforcese. All of this is to say that we have not invested much time in beautifying this platform or giving it flash and dazzle because it was always intended as a temporary feature. But the issue of C-51 and its aftermath has not gone away, and so we have decided to keep this blog live into 2016. I will continue blogging on national security law writ large on my regular blog, but we will also post on anti-terror law developments on this site. First up, as the teaching term ends and we have some time: we have decided to prepare a “best practices” annotated draft bill for enhanced accountability in national security law, taking a stab at crafting a meaningful parliamentary review committee and also enhanced expert review by our existing review body. As we argue in False Security, neither should proceed without the other. We will post that document for comment and reaction here, when ready. Posted in Uncategorized on December 15, 2015 by cforcese. Posted in Uncategorized on October 5, 2015 by cforcese. 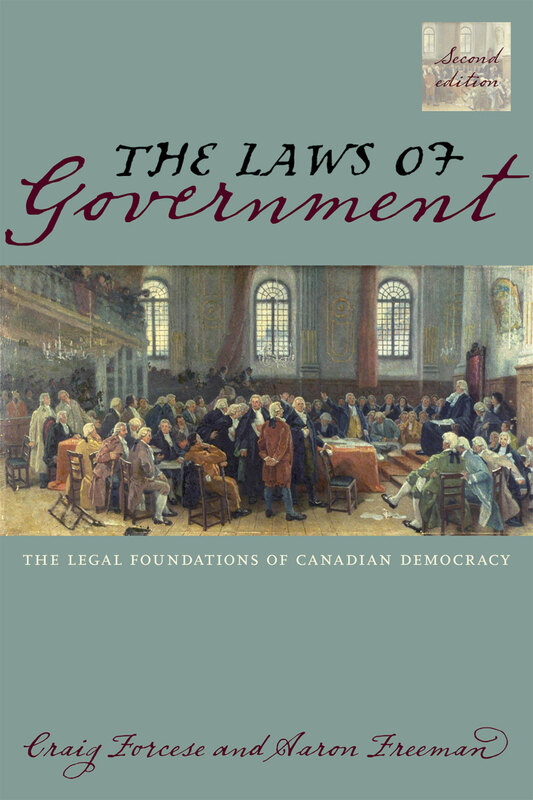 After working flat out for now more than six months, we are on the brink of releasing our full book on Bill C-51 (and the other recent security laws). This is a big book that goes well beyond and does much more than recast the backgrounders on this website. It is as much about how Canada is getting security wrong as it is about how recent laws are jeopardizing rights. 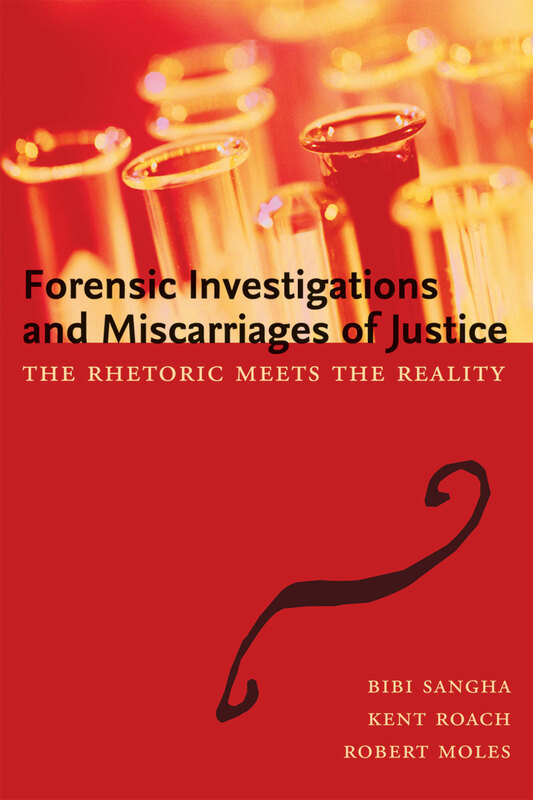 Some may regard the title (over which we mulled for much time) as provocative. We regard it as measured, honest and accurate. Our readers can be the judge. 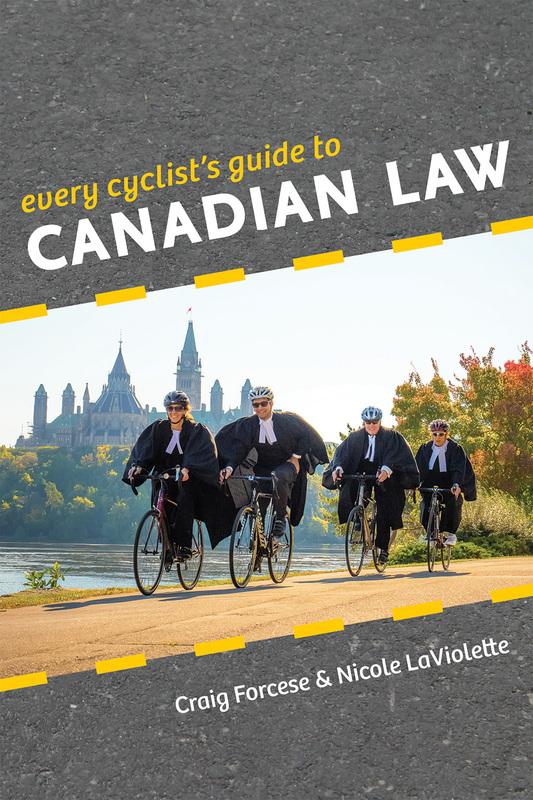 The book is available for advance purchase from the publisher and on Indigo-Chapters. As a free extract, we have also posted the Preface and Chapter 1 on line here and here or through the publisher’s website. This has always been a project in active citizenship and we believe that we are duty-bound as handsomely paid law professors to contribute to an informed citizenry, able to parse complex issues. An open society needs an open law, and national security in a democracy depends on informed consent. We have tried to frame the basis for our conclusions as transparently as possible — so people can trace our sources to test why we take the views that we do. See our Preface, linked above, for what we have tried to do with this book, who we are, the perspectives we bring, and how we have found our facts. Of course, there will be people who will disagree with us. We do not have all the answers. So let us start the polite, informed and thorough discussion between people of good faith that we never had during the C-51 debates; a discussion about how we can achieve REAL security in a rights-observing country. This is as grave an issue as any a society might encounter, and it should never be fodder for slogans and partisan positioning. A shout out to our publisher who has, from day 1, also joined us in this vision of civic duty. More than anything else, we hope that this book sells well so that publishers willing to support these kind of efforts are able to make ends meet, and continue to play their vital role. Thank you to the many people who have written to us over the months with their questions, comments and insights. We have not been able to respond to all, but have responded to many. As we did throughout this project, we always welcome polite, dignified and substantive comments, with apologies again if we cannot respond to all such missives. After all: classes start this week! Posted in Uncategorized on September 3, 2015 by cforcese. 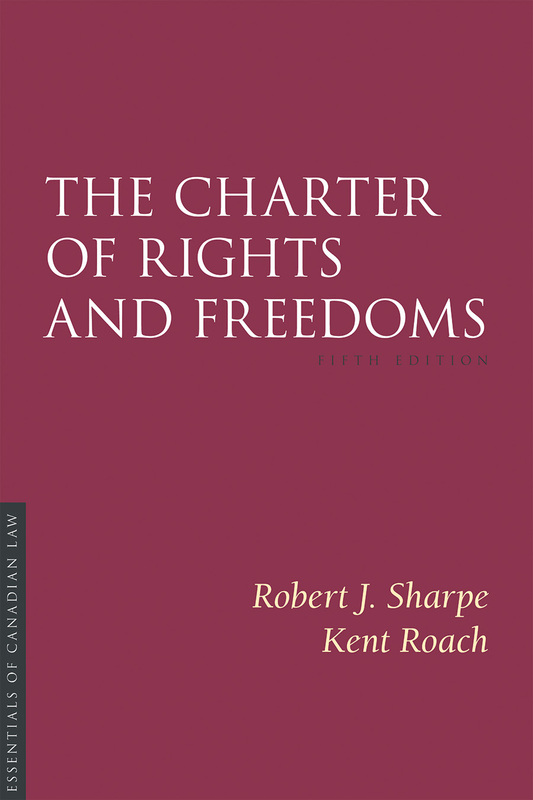 The Security of Canada Information Sharing Act (the “Act”) contained as Part I in Bill C-51 is based on the concept of “activities that undermine the security of Canada”. This is a new and astonishingly broad concept that is much more sweeping than any definition of security in Canadian national security law. In important respects, it comes close to a “total information awareness” approach or, at least, a unitary view of governmental information holding and sharing. In that respect, we consider it a radical departure from conventional understandings of both national security interests and privacy. In this article, we first discuss what is at stake in information sharing and argue that the new Act does not give adequate attention to the risks that information sharing presents to privacy or that the sharing of unreliable information can cause injustice. In the second part, we critically examine the new concept of activities that “undermine the security of Canada”, which plays a central role in the new information sharing act. In the third part, we examine the most important operative section of the Act. Finally, in the last part, we argue that when the broad information sharing Act becomes law, accountability reform and, in particular, revamped independent review with a whole of government mandate and power will be imperative to counteract the risks of information sharing discussed in the first part of this article. 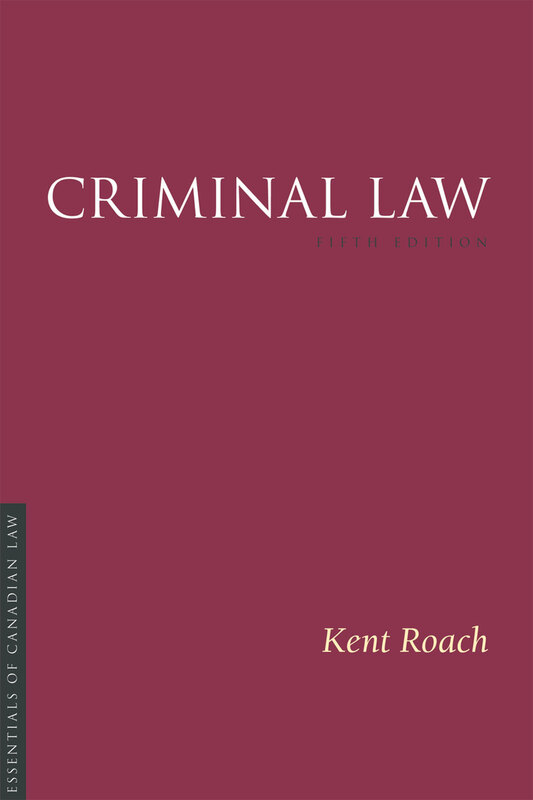 Reproduced with permission of the publisher LexisNexis Canada Inc. from Canadian Privacy Law Review, Vol. 12, No. 7, June 2015. Posted in Uncategorized on June 25, 2015 by cforcese. I have posted a digest on some of the alarming positions about the reach of the proposed CSIS powers taken by the government during the final Commons committee hearing, in which all opposition amendments were defeated. Posted in Uncategorized on April 2, 2015 by cforcese.